Summer's Eve is a brand of feminine hygiene products produced by the C. B. Fleet Company. 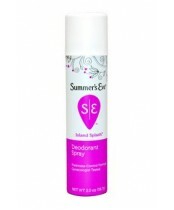 When odor or irritation keeps women from feeling their best, Summer's Eve® feminine care products are there to help. From wipes to washes to lubricating jelly, Summer's Eve helps women feel clean and refreshed wherever they are.